The Lebedew Brothers, Alexis and Mark have some wonderful insights to share. Alexis blogs at Sport and Design and Mark at At Home on the Court. I am grateful to Alexis for a link to Mark’s most recent post about chaotic behaviour. Mark uses a post by Sanyin Siang in Forbes to discuss men’s volleyball performance at the London Olympics. This quote from Sanyin “athletes’ mental discipline and comfort with the pressures and real-life chaos of competition separated the medalists from their competitors” was the impetus for his post. After discussing the performances of Italy, Poland, Russia and Brazil, Mark concluded his post with this quote from Sanyin “in the complex world where uncertainty is the only certainty, preparing with and developing a familiarity with chaos is where the real competitive advantage lies”. As with much of Mark’s and Alexis’s writing I was set off on a journey thinking about coaching and performance environments. I thought first of all about my own coaching of canoe slalom with young athletes on the Tryweryn at Bala, North Wales. In that environment with great water and easily moved gates I tried to challenge the athletes by moving gates after each run. I thought too about doing difficult technique early in sessions rather than progressing it to it. I found these sessions wonderfully challenging and excellent coaching stimulus. After those memories I thought about my interest in chaos, perturbation and dynamical systems. I have been attracted to these for some time and feel very comfortable in these contexts. I looked at the potential of chaotic behaviour to transform football performance and some of these ideas were shared in the New Scientist back in 1996 (Chaos Pitch). I was attracted to chaos after a number of years of thinking about ideas shared by Clive Ashworth on figurations in Eric Dunning’s readings in the sociology of sport (1971). During the 1990s I had a number of conversations with Mike Hughes, Ian Franks and Tim McGarry about perturbations. I was very interested of the emergence of dynamical systems thinking and have for a long time followed Keith Davids’ work. I concluded my Lebedew Brothers inspired journey by thinking about how to share these approaches with young coaches. I did try some of these ideas with a Sport Coaching Pedagogy group at the University of Canberra earlier this year. I am hoping that the lessons I learned from the students’ responses will help me with an even more comprehensive approach in 2013. I do think welcoming chaos, encouraging perturbation, being sensitive to figurational change and using dynamical approaches as a heuristic produces exciting and psychologically challenging opportunities for coaches … however young or old. I have been blogging for some time. This WordPress blog dates back to June 2008. I have Blogger, Tumblr and Posterous blog accounts too. This week a friend, Darrell Cobner, asked me to write about blogging. He is an accomplished blogger and I was delighted that he asked me. Just finished our annual meetings in Salt Lake City, where all the USAV leaders come to share their season’s experiences and best practices and plan ahead to grow the game anew. This being an Olympic Year, our CEO Doug Beal shared a special powerpoint at the Congress, celebrating the achievements of volleyball in the USA, aka USA Volleyball in his State of the Game. It is shared here, since so many of you reading this blog could not be in Salt Lake, yet you are growing the game so well in your part of our nation – we wanted you to celebrate too. CLICK HERE to download and read it, you will learn a lot about how the Team behind the Team, which is all of us, are doing at USA Volleyball. Explicitly, here are my thoughts on Darrell’s questions. A blog is a personal journal published on the World Wide Web consisting of discrete entries (“posts”) typically displayed in reverse chronological order so the most recent post appears first. Blogs are usually the work of a single individual, occasionally of a small group, and often are themed on a single subject. Though blogs are typically thought of as personal journals, there is no limit to what may be covered in a blog. It is common for people to write blogs to describe their work, their hobbies, their pets, social and political issues, or news and current events. The uptake of blogging was accelerated by easy to use blog platforms like Blogger and WordPress. Both provided and continue to provide ways for the uncomplicated upload of content. This makes blogging a very personal activity. The author creates, uploads and monitors content of the blog. In recent years Twitter has made microblogging an everyday activity that enables the exchange of short sentences, web links, and pictures. I mentioned John Kessel’s Celebrating Together post on the USA Volleyball blogs site earlier. I return to it here to help explain why blog. Just finished our annual meetings in Salt Lake City, where all the USAV leaders come to share their season’s experiences and best practices and plan ahead to grow the game anew. Our CEO Doug Beal shared a special powerpoint at the Congress, celebrating the achievements of volleyball in the USA. You will learn a lot about how the Team behind the Team, which is all of us, are doing at USA Volleyball. There is an unconditional commitment to sharing experiences and resources. The topic is of the author’s choice and narrative style. I see blogging as a voluntary contribution to a community. Whenever I attend a conference or workshop I blog live so that those not attending can access information if they wish. An example is my blog posts from the Computer Science in Sport Conference (Special Emphasis: Football) at Schloss Dagstuhl, Germany in 2011. I blog to share my interests in performance and this leads me to share data from my research activities. An example is my blog posts about performance at the 2010 FIFA World Cup. There is no expectation that anyone will read any post. Occasionally people comment on the posts and this leads to thought-provoking exchange. It contributes to a world that flourishes through reciprocal altruism. Blogging offers an immediate way to share information or discuss ideas. I have posted 619 times to my blog since June 2008. This is a rich record for me of items of interest to me and a cloud resource I draw upon when meeting others interested in learning, teaching, coaching and performance. To date I have had 112,000+ visitors to the site. 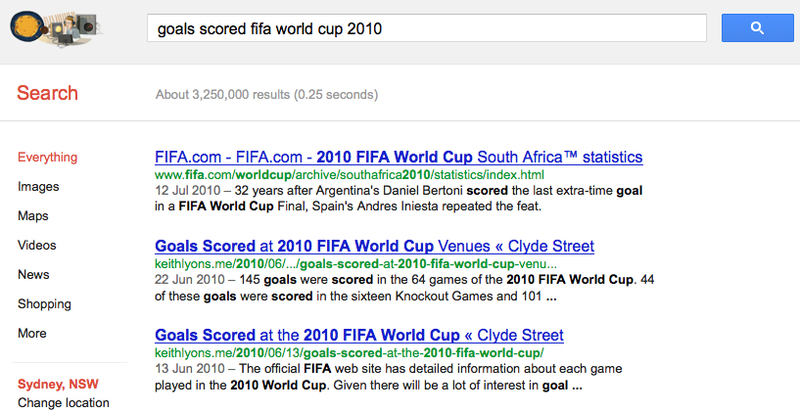 I saw a big spike in readership during the 2010 FIFA World Cup. Thereafter searches on Google yield some of my posts. The availability of alerts to blog posts on topics or by a particular author has transformed the impact of blog posts. In contemplating the impact of blog posts I am mindful of Todd Sieling’s advice about slow blogging. Slow Blogging is a willingness to remain silent amid the daily outrages and ecstasies that fill nothing more than single moments in time, switching between banality, crushing heartbreak and end-of-the-world psychotic glee in the mere space between headlines. The thing you wished you said in the moment last week can be said next month, or next year, and you’ll only look all the smarter. I am conscious that if we are to use blog posts as an indicator or reach and impact then we must engage in slow blogging.We must think too about the tags we use to point to the slow blogging outputs. I think microblogging with Twitter offers an alternative for the immediate response to events. This is a personal blog. Kate Carruthers has a great guide to rules of engagement for personal blogs. I try to follow her rules. This is my personal blog and I write it for my own personal satisfaction. Readers are encouraged to comment, debate and discuss. I moderate all comments and publish most, unless they appear (to my totally subjective gaze) to be defamatory, spammy, hate-mongering, not particularly constructive, or just plain rude/crude. It’s fine to disagree with me, but I’m unlikely to publish your comment unless you display a modicum of style and intelligence. if you do not provide a real name/identity/email I may choose not to publish your comments. Real people who stand by their comments are cool! This blog discusses ideas but does not purport to provide formal business, technology, psychology or finance advice. Readers should seek (and probably pay for) advice of that nature from a professional source. The content on this website is provided “as is” with no warranties, and confers no rights. The opinions expressed here are my own and do not represent views of any clients or employers in any way. Nothing posted here should be considered official or sanctioned by any of my clients or employers or any organisation I am affiliated with. Feel free to quote liberally from this blog if you want – please link back in the best web tradition if you use any material provided here and give credit for material used. I have written this post from the perspective of a person who seeks to share through blogging. I recognise that there are other motives to blog. I am excited by the reflective potential of blogs in education and sport settings. 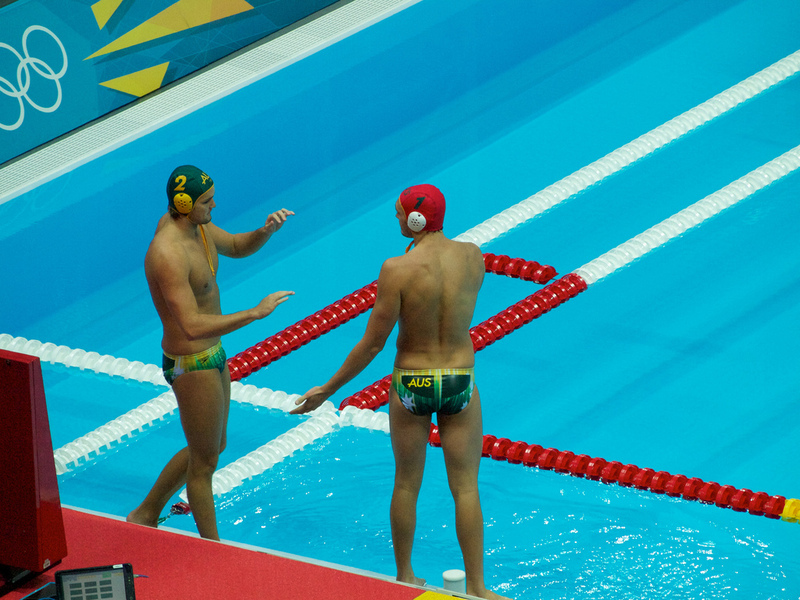 I facilitated a Sport Coaching Pedagogy unit at the University of Canberra last semester. One of the requirements of the unit was to develop a blog as a journal. I have compiled a list of the 60 blogs produced by the students on a Wikiversity page. The final night of meetings before play begins, is the “Boyce Banquet” in honor of Dorothy C. Boyce. Dorothy joined USAV in 1952 as a consultant on women’s volleyball and took on many leadership roles over her 22 years of involvement, including being USAV Vice President for a decade. Traditionally, I sit at the banquet with Mike Hulett, who, if you don’t know of him…well dang it you should. I knew what was coming, as I had contributed a lot of photos of Mike, having been with him for decades as he helped head coach in our USA Paralympic programs. So take time to read the link award below, and watch the video ( CLICK HERE to watch) that I took of his surprise in being honored with USA Volleyball’s highest award, the Frier (named after the USAV leader who almost singlehandedly got volleyball into the 1964 Tokyo Olympic Games, just one of those things that we all should know and celebrate too…). Mike’s achievements are something we ALL should celebrate in volleyball. Just another thing USA Volleyball does to help volleyball for all, including the disabled of all ages. Thank you for finding time to read this post. There are some other posts about blogging here. My involvement in the Sport Coaching Pedagogy unit (#SCP12) at the University of Canberra last semester encouraged me to think about the narratives coaches use to share their vision about performance. I was revisiting some of the content of the unit this week (Coach as Performer, Sharing and Presenting Information). 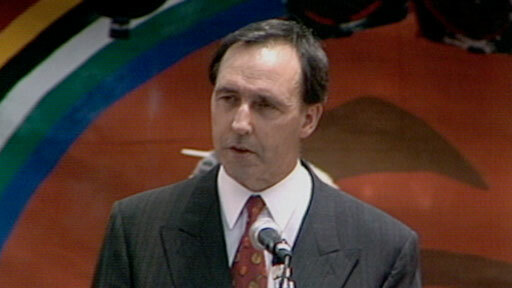 Whilst doing this I came across Paul Keating’s 1992 speech in Redfern. The starting point might be to recognise that the problem starts with us non-Aboriginal Australians. There is one thing today we cannot imagine. We cannot imagine that the descendants of people whose genius and resilience maintained a culture here through fifty thousand years or more, through cataclysmic changes to the climate and environment, and who then survived two centuries of disposession and abuse, will be denied their place in the modern Australian nation. Deborah Cheetham is working on a song cycle based on this speech. I am going to use the speech the next time I am involved in #SCP. Amongst many issues it raises is the relationship between a speech writer and a public speech, between the ideas on paper and their voice.